Dungeonator is on irc.esper.net in the #dungeonator channel. Have you read the Installation Guide? Welcome to Dungeonator.com, home of The Dungeonator and source for Dungeonator-related news, updates, and content. What mysteries does this chest hold? The Dungeonator is a world generator plugin for Bukkit (a popular Minecraft server mod). With it, your server will generate infinitely (give or take) sprawling dungeons, complete with mazes, monsters, loot, and more. There is a download link over to the right. You'll need to be running a Bukkit server. Don't forget to read the Installation Guide! Dungeonator is currently in Pre-Release Alpha. This means that it is still in development and may not work properly, or at all. Do Not use this plugin on a server you care about! It could erase your worlds or cause other issues. You can extend your Dungeonator experience by installing additional Room Packs and Widget Packs, or by making your own. Packs are available in the Library. If you're interested in creating your own rooms or widgets, check out the Builder's Guide. A Room, or DungeonRoom, is a cuboid area 16 blocks squared by 8 blocks high. In the Dungeonator, each Minecraft 'chunk' is divided into up to 16 Rooms stacked on top of each other. 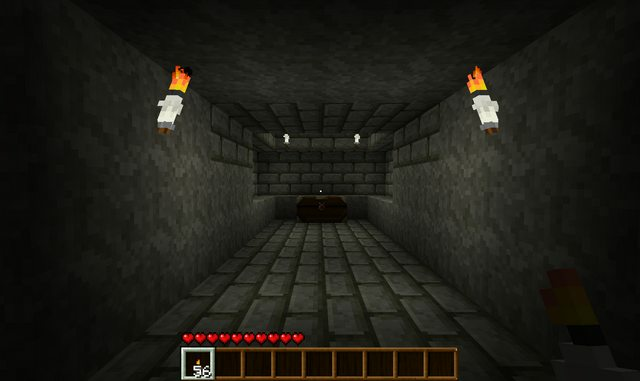 Dungeonator's world generation works by using a collection of stored Rooms that can be attached together in a variety of ways. Rooms can be attached by entrances on all 6 sides. A Widget is an object of some kind that can be reused across many separate Rooms. Widgets are used to dynamically populate rooms, so that if you come across the same room later, there is still a chance of it looking a bit different. What is a Room Pack / Widget Pack? A Room Pack or Widget Pack is simply a collection of Rooms or Widgets in downloadable form, usually from a common author or with a common theme. Server operators can install Room Packs to expand the selection of rooms and widgets available to the Dungeonator.